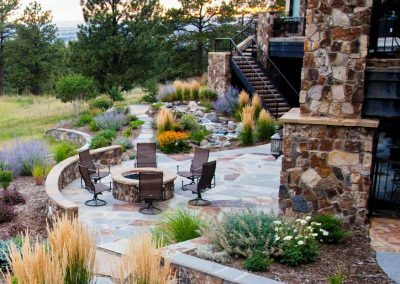 Colorado Golf Club - Weston Landscape & Design, Inc. 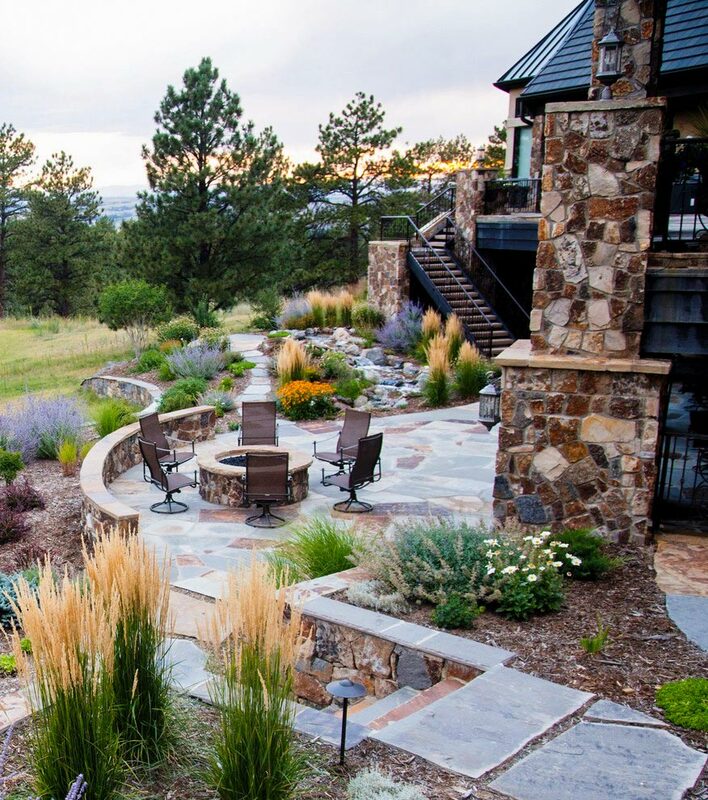 Kick back and relax in this outdoor oasis situated in the prestigious Colorado Golf Club. The tranquility from the winding stream and waterfall cascading down around the outdoor patio is the perfect soundtrack for an evening on the patio. We incorporated some beautiful sculptures of wildlife into this project as well. 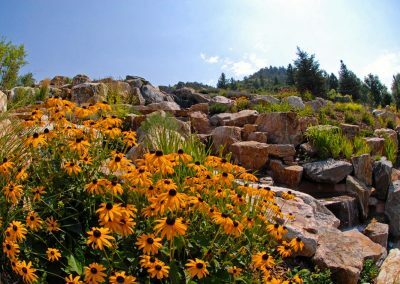 All of these elements combined with native Colorado plant material have made our clients feel at home in the outdoors.